Jon Deeks is Professor of Biostatistics, Director of the Birmingham Clinical Trials Unit, and leads the Biostatistics, Evidence Synthesis and Test Evaluation Research Group in the School of Health and Population Sciences, where he also holds a position of Joint Research Lead. Jon trained as a medical statistician, and has followed a career which has given him broad experience across health research through working as a statistical collaborator on a variety of health research projects. His major methodological contributions have been made in the fields of evidence synthesis and test evaluation. He has published over 175 research papers and reviews in scientific journals, which include both collaborative health research projects and methodological developments related to the evaluation of health care interventions and medical tests. His work has been funded by grants from the National Institute of Health Research and the Medical Research Council. 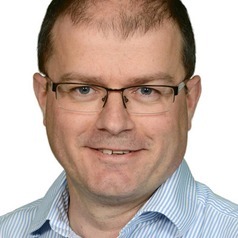 Jon leads the Cochrane Collaboration’s test evaluation activities, and is involved in the NIHR Health Technology Assessment Programme through appointment as Deputy Chair of the Commissioning Board. He is an enthusiastic teacher of statistics and research methods, and frequently runs workshops, particularly related to test evaluation, at local, national and international events. Jon runs a test and biomarker evaluation research group at the university.